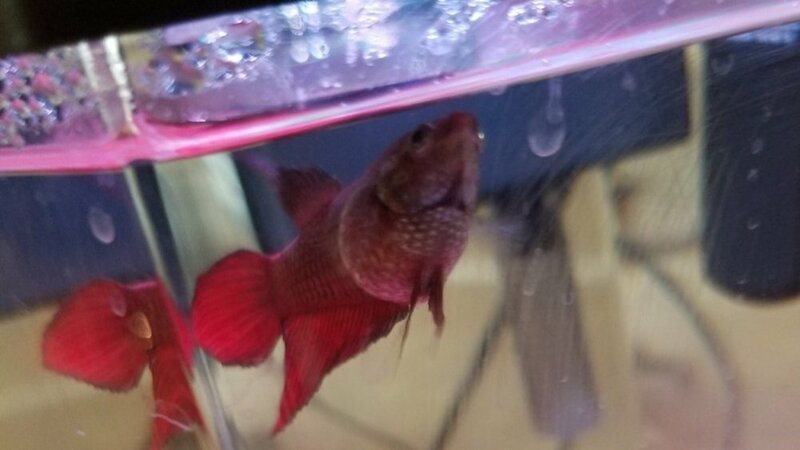 URGENT SICK FISH HELP NEEDED!! Hi, I cannot see your picture. Brand of test-kit used and whether strips or drops? Tank size (how many gals.) and how long has it been running? What is the name and "size of the filter"(s)? How often do you change the water and how much? How many days ago was the last water change and how much did you change? How many fish in the tank and their size? What kind of water additives or conditioners? What do you feed your fish and how often? Any new fish added to the tank? Any medications added to the tank? 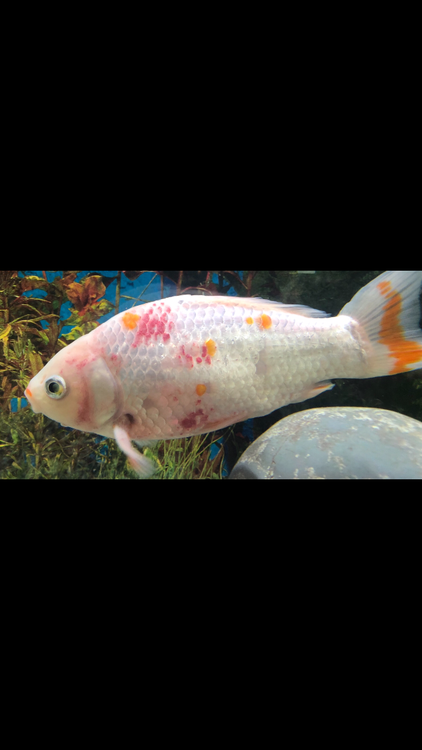 List entire medication/treatment history for fish and tank.Please include salt, Prazi, PP, etc and the approximate time and duration of treatment. Any unusual findings on the fish such as "grains of salt," bloody streaks, frayed fins or fungus? "If copy and paste doesn't work for you, quote this post and put your answers after each question." Please fill out the form. We can't determine the problem without information. Perhaps the new fish carried a disease and/or parasites which infected the old fish. Perhaps when you cleaned the tank you destroyed the beneficial bacteria which remove toxic ammonia and nitrite from the water. The one action I can recommend is to fill a container of about 10 gallons (a plastic storage tote works fine) with clean water, adding water conditioner to remove chlorine/chloramine from the water. Move old fish to the container and change 50% of the water daily. We strongly recommend Seachem Prime as a water conditioner. I highly recommend the plastic tote method of quarantine. I have used them many times with my own fish and it’s cheap and effective. Hello, I have filled out as much of the form as I currently can. Please let me know if there’s any other information you need. I will try to link the photo again. All water levels are good, PH was high but we added a conditioner to the tank to settle it. We use well water. Tank size (how many gals.) and how long has it been running? : 30, moved into a smaller quarantine tank. tank has been running for years. I attached the last clear photo I took. He looks worse now, more red splotches are covering his body. I’m very worried. So I am understanding the existing tank had only the single goldfish, and the new guys showed no symptoms? This is your older fish who got sick? Were the new fish quarantined separately from the older fish prior to introduction? What did you treat for in quarantine, if anything, and how long was it? Yes that’s correct, the older one is showing symptoms and neither of the new ones are. We did not quarantine the new ones before adding them. Okay then, this very likely is parasitic or viral. I do recommend getting the API liquid test kit instead of strips, though, so we can get more accurate numbers and make sure you aren’t having ammonia spikes from the increased bioload and the like. Please explain - you said you had done some general treatment and salt. Can you give me more details? Which product was your general treatment and how long? How much salt and how long? Did you do these two at once? We are going to need to treat all three fish at once because the lack of quarantine of the new fish exposed all three to the same pathogen that’s causing the symptoms in your older fish, and we risk re-infecting the older fish or the newer fish beginning to show symptoms if we don’t treat them all. The main tank will need a very thorough cleaning too, if you do treatment in the quarantine instead of the main tank (your choice). Ph Level, Tap (If possible, KH, GH and chloramines) hard water..normal for arizona. Brand of test-kit used and whether strips or drops? Strips. Petco did it. 50% water change less than a week ago. What do you feed your fish and how often? Usually 2-4 dry pellets once a day. Any new fish added to the tank? Never. A cat has been preying around her tank recently causing her to hide often. List entire medication/treatment history for fish and tank.Please include salt, Prazi, PP, etc and the approximate time and duration of treatment. Shes been without food for atleast a week and a half. Only recieving 2 half peas in that time. No pellets. Any unusual behavior like staying at the bottom, not eating, etc. 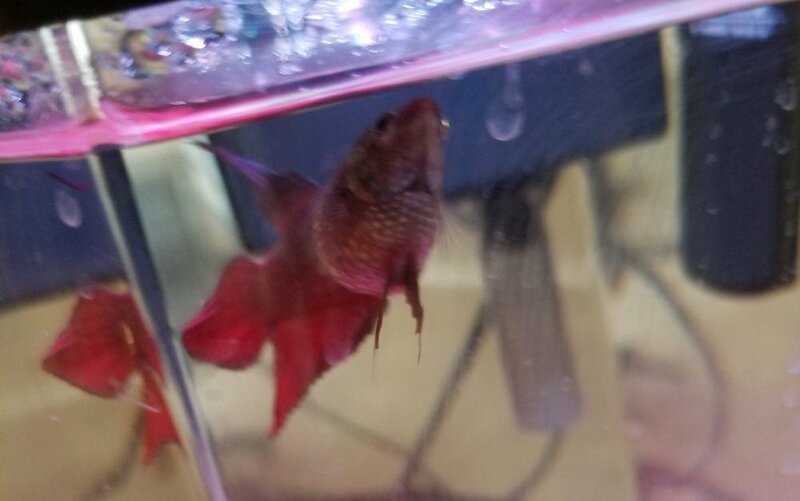 ?﻿ shes at the bottom of the tank 80% of the time. This started when the cat was harassing her. Sorry to impose on ur chat. I added my own story earlier and cant find it now. So sorry. Did you mean something bigger than a 2 gallon tank? If you can I would get the water tested and ask them to write the numbers down.